Students of Olivet Institute of Technology participated in the Dreamforce 2012- Salesforce.com's user and developer conference at the Moscone Convention Center in San Francisco, CA. The conference helped OIT Students gain a deeper insight into social network as a business and a clearer view of the future of enterprise software. Saleforce's successes stimulated OIT students to look closer at the successful practices of combined technology and business models. As cloud computing and mobile technology enters the OIT curriculum this quarter, students will be researching SAAS, Software As A Service. The event offered a glimpse at the convergence of cloud, social, and mobile technology, generating excitement among those planning to take the class in the coming weeks. Dreamforce is the largest conference in the enterprise software industry. The sponsor Softforce is the leading cloud computing companies whose logo shows a strong message of "No Software." The company is best known for its on-demand CRM, which is a type of SAAS. 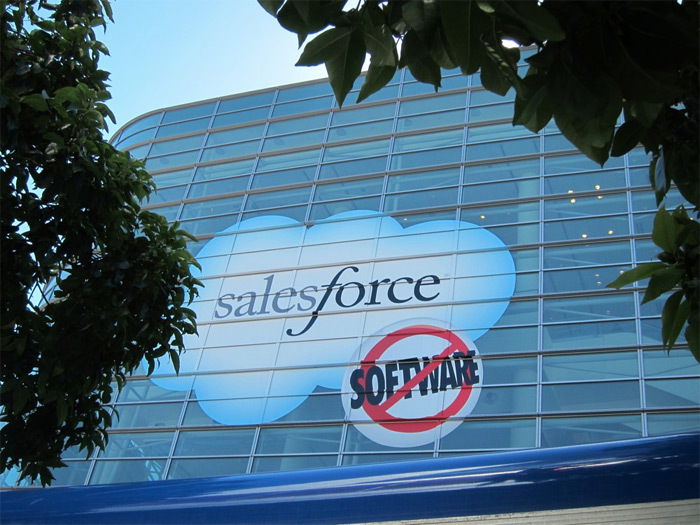 Salesforce's CEO Marc Benioff proclaimed that we are in the midst of a "customer revolution." His opening keynote is 'Business is Social.' The company is now the most well-positioned technology companies in the world to help businesses become social.